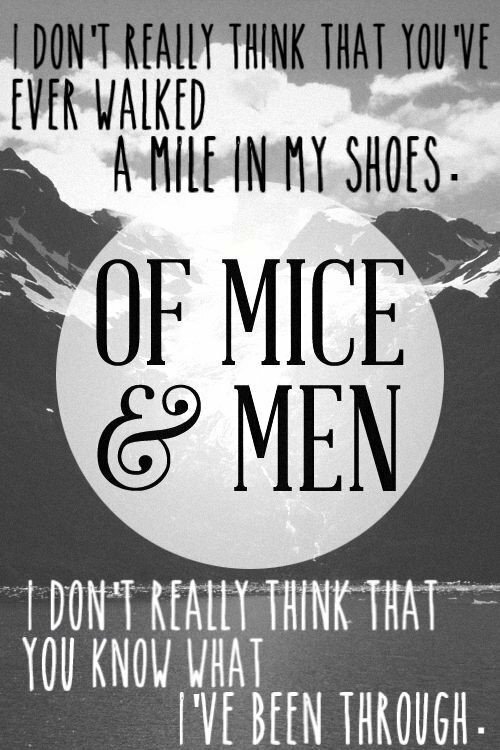 John Steinbeck’s Of Mice and Men is a parable about what it means to be human. Steinbeck’s story of George and Lennie’s ambition of owning their own ranch, and the obstacles that stand in the way of that ambition, reveal the nature of dreams, dignity, loneliness, and sacrifice. Ultimately, Lennie, the mentally handicapped giant who makes George’s dream of owning his own ranch worthwhile, ironically becomes the greatest obstacle to achieving that dream.